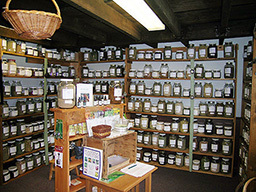 At Alternatives For Health Herbal Apothecary our goal is to help you attain and maintain your health and wellness goals. Our focus is on helping people take charge of and keep their bodies healthy through bodywork, herbal products, proper nutrition and detoxification. Each day, toxins seep into our bodies through the food we eat, the air we breathe, and the water we drink. Most of these toxins remain in the body for many years, stored in the fat cells that exist throughout the body. By lowering your toxic burden, many chronic health situations can be improved. Whether your goal is stress, sleep, pain management or maintaining good health, Alternatives For Health Herbal Apothecary offers products and services that will get you, and keep you, on the path to wellness. Salli Greene began her herbal career with a cart in Quincy Marketplace in Boston in 1977 where she sold live plants and homemade products. The herbs were mostly culinary but her herb source introduced her to those wonderful scented geraniums and they were quickly added. Herbs were always part of her garden plans. Living in the Boston area her friends always wondered why there were green things in their iced tea. But when they tasted the different mints they were thrilled. Fast forward to 2001 when she moved back Sturbridge (she had been raised here). The home she and her husband purchased had a large yard so she really went to town with her vegetable, flower and herb gardens. 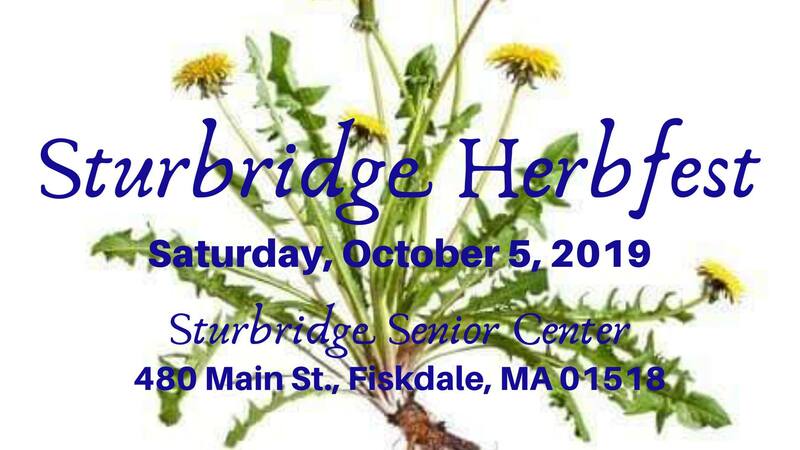 In 2004 she took a 10 month herbal class that introduced her to the world of medicinal herbs. It was a life changing experience. Nothing is more wonderful than making products for your family’s health. From there she studied in Belize with Rosita Arvega and with Rosemary Gladstar. She now teaches Rosemary"s 10 month Herbal Apprenticeship. In 2007 Salli and her brother, Marty, opened Velvet Greene Garden Center in Brimfield. Here they carried a large variety of fresh herbs and scented geranium plants. In 2010 she bowed out of that business to open Alternatives For Health Herbal Apothecary. It was initially in Brimfield but when a storefront in Sturbridge became available, Salli jumped on it. 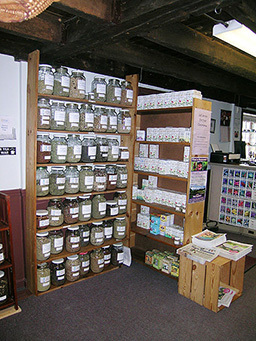 Her shop is located at 426 Main St. She carries dried bulk herbs, teas and bath products, herbal products and blends for health, essential oils, flower essences, homeopathy, supplies gifts and much more. She feels with this shop, her love of herbs has really come full circle. She enjoys being there and meeting with customers. She also does mail order of her products. If you don’t see something on the website, call the shop. She may just have it!! The goal at Alternatives For Health Herbal Apothecary is to provide quality products and services to help you get and stay healthy. Salli’s greatest joy is to educate the consumer and have them make their own health products. There is an area dedicated to supplies and recipes are available. There is also a library area where you can sit and do research. The products carried have been carefully chosen to be of the highest quality.